The Oldest Active Club in Texas! Home / anniversaries / The Oldest Active Club in Texas! at 70 years old is the oldest, active club in the state of Texas! Club 305 was founded in April 1945 by a local dentist, Dr. Louis Tompkins, who served as the club’s first president. Dr. Tompkins helped form District 25 in 1948 and served as the first district governor. The club has almost 100 ribbons and awards that proudly hang on the original banner. 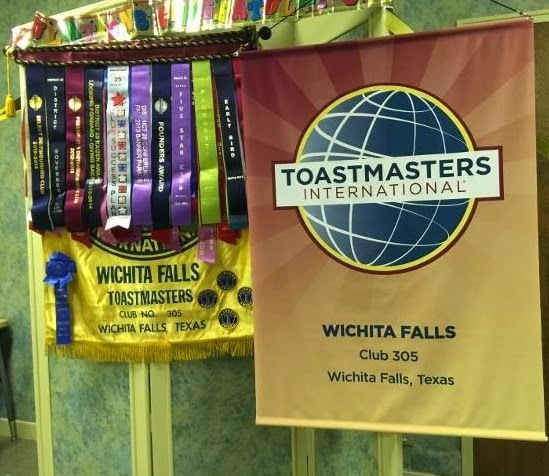 At the Anniversary Celebration, District 25 presented a new banner to the club! 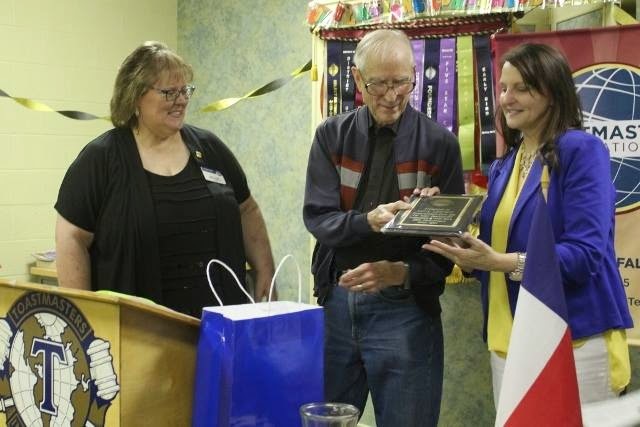 Larry Lambert, the senior member of Club 305, was presented with a plaque for his dedication and hard work. He says he first heard about Toastmasters when he was a student at MSU in the late 1940’s. After returning from the Army, he began his law practice and also became a full Toastmaster in 1956. He believes Toastmasters helped him to be a better lawyer and person. Good communication is one of the top attributes that makes a person successful; not only in business, but in relationships with co-workers, family and friends. This is the main reason he has stayed with Toastmasters so long. He highly recommends Toastmasters to others. 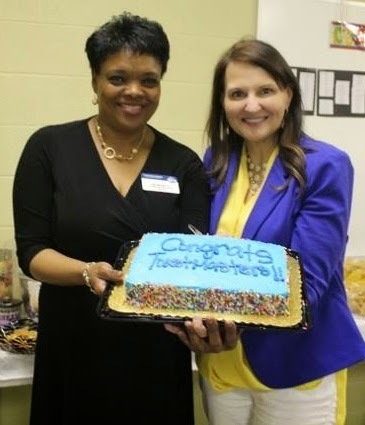 With door prizes, decorations, food and an anniversary cake, the party was a great success! 70 years for ANY club is an OUTSTANDING ACCOMPLISHMENT! 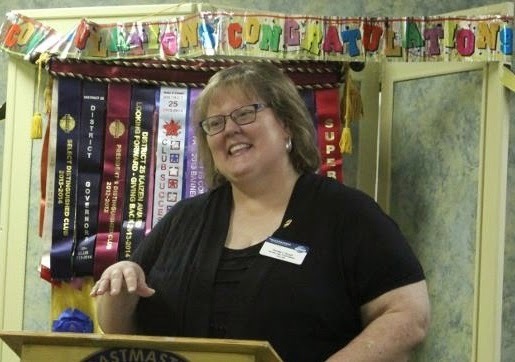 Previous Post LinkThank You!Next Post LinkWild About Toastmasters!